CEO of HWI Eaton Lattman, UB President Satish Tripathi, Vice President of Research and Economic Development at HWI Alexander Cartwright. The funds will allow UB to collaborate with several institutions across the country to develop new X-ray lasers utilizing bioimaging. Bioimaging is a branch of radiology that allows for information to be visualized in 3D and 4D. The award will also be used to build a new research center in Buffalo called BioXFEL. The CEO of Hauptman-Woodward Medical Research Institute, Eaton Lattman, will be the director of BioXFEL. He says scientists at the facility will be using advanced X-ray lasers to research drug targets in the human body. “What we’re going to do with this is look at proteins in our body that serve as drug targets and, once we know what they look like, we’re much more capable of making drugs that interact with them,” said Lattman. Speaking at the announcement, Rep. Brian Higgins said it is crucial to continue to fund scientific research. 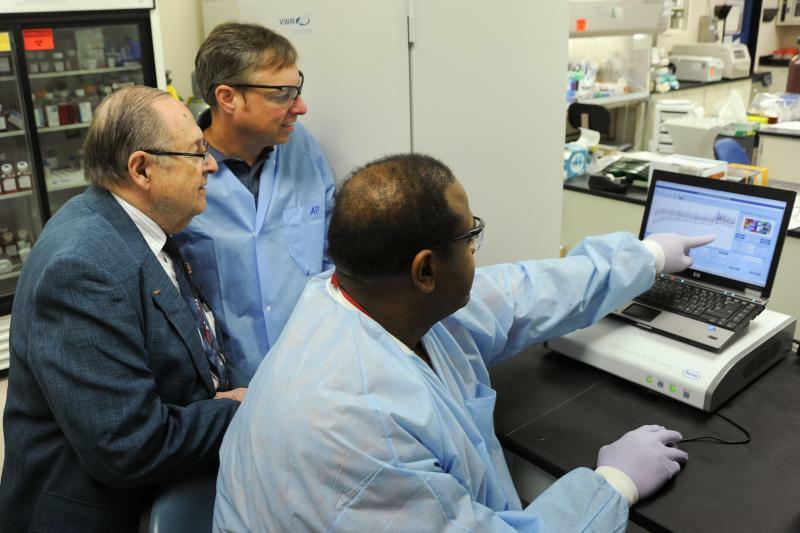 “The federal grant demonstrates the strength of the Buffalo Niagara Medical Campus institutions to serve as outliers in science and medical innovation. Not only will it advance critical research, [but also] this significant investment will advance economic growth in the City of Buffalo,” said Higgins. Vice President of Research and Economic Development at Hauptman-Woodward Medical Research Institute, Alexander Cartwright, says the National Science Foundation only awarded three grants this year. He says UB is in good company. The other two went to MIT and Harvard University. The University at Buffalo will collaborate with researchers at Arizona State University, the University of Wisconsin, the University of Milwaukee, Cornell University, Rice University, the University of California, San Francisco and Stanford University on the project. Learn more about the human-on-a-chip research platform and its potential impact on the scientific and medical fields. In a handful of labs around the U.S., researchers are creating human tissue from stem cells and manipulating them to replicate the functions of human organs, all on platforms about the size of a thumb drive. This research platform is known as a ‘human-on-a-chip’, and it has the potential to change the nature of medical treatment. Dr. Harry Salem has been involved in his fair share of exciting scientific breakthroughs, including the creation of the breathalyzer, the infant incubator, and Nyquil. Several faculty from the University at Buffalo were awarded funds through the SUNY Research Foundation. The SUNY Research Collaboration Fund was designed to connect researchers on campuses in New York State and give them a platform to share data and strengthen their ideas. This year the foundation gave out over $700,000 in grants with each individual program receiving nearly $100,000 to be used over two years. 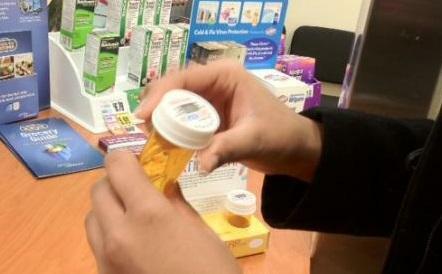 One grant will fund a project that tracks non-medical prescription drug abuse in college students. UB Senior Research Scientist Kathleen Parks says UB will be working with the University at Albany and Binghamton University to develop a survey about the prevalence of drug use.